Attract your favorite flying visitors with a mini habitat filled with nectar-producing flowers. Peg Castorani, co-owner of Gateway Garden Center, leads you on an inspirational tour of Mt. Cuba Center's native plant containers, discussing plant selection and design considerations, after which she presents practical advice on the basics of planting and maintaining them. 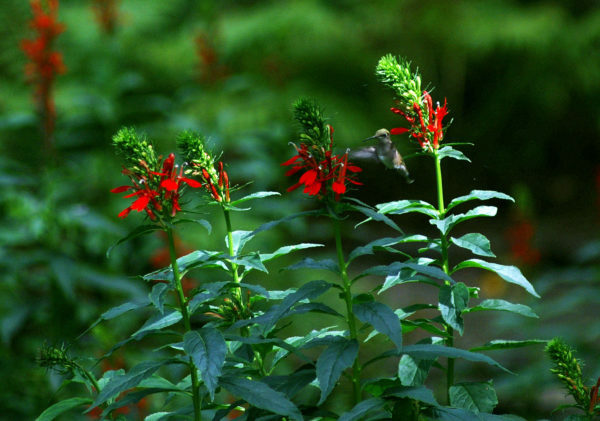 Bring home a container garden of plants with staggered bloom times that will have hummingbirds returning all season long. Bring gardening gloves. Plants and containers are included in the fee.